Here you can find all ebooks that I’ve published. hello sir it’s my first visit on this site it’s awesome and helpful for freshers thanks for sharing your wonderful knowledge here. First time I visited to this site. 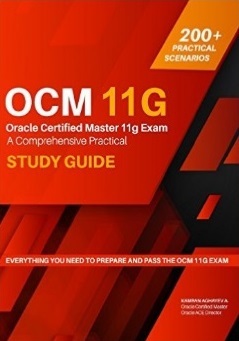 This is Wonderful site to learn new thing on oracle. Hello Kamran, thanks a lot for sharing the information through your wonderful website. It has made things really simple for many people. I have been using this website for quite some time now. Thanks again. how to install multiple databases on a single server..
is it required to reset the oracle_home/base in the .bash_profile or i need to create a new one in the bash_profiel..
today i was installing oracle 10g on linux platform the installation was all okay but when i open the site my database page showed down arrows i found i started up and shutdown the problem i am detecting is off listener can you help me out with this how i can make my database up. i am working as an oracle dba..
i am very thankful to you because you are sharing your knowledge with others. i want to share and discuss my doubts with you..
can you make a tutorial step by step config physical standby database? My Name is Sergio and i live in Brazil (south America). Our blog is very interesting, and i will mention your URL on GLUFKE ORACLE FORUN (a brazilian forun of oracle), as an interesting site to visit. 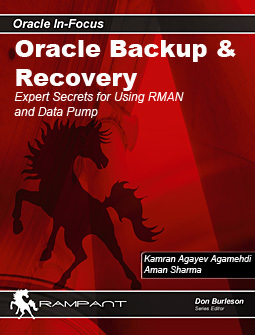 i want to purchase rman backup and recovery, i am from india, wud u pls inform me when it wil be delivered? or is it available in india? reply me soon.. does this book contains video tutorials cd with this? Its really helpfull to get to know new features through videos, Nice to understand concepts. Please shared more videos on RMAN for Backup & Recovery in detail. Thank You verymuch for all the articles and it’s a Fantastic site. First of all, I would like to say thank you for your time and effort to present all the knowndge that you have. I really appreciate for this. If you have a chance, Can you show me how to do in diffrent backup and recovery in RMAN, and diffent tunning in oracle and could you please show or recomend for me which type of tunning is the save the most memory and storege space. Finally, can you show me how to set up table_space, index-table. again, I am a student right now, I just want to be prepared for future job. Therefore, I really need your help. Thank in advance. I would suggest you to start reading Oracle documentation. There’re some video tutorials in my blog where you can find how to make a backup and recovery. 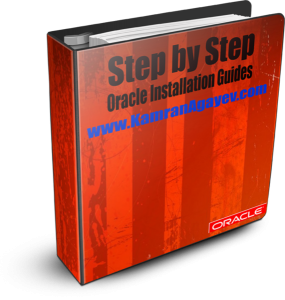 However, tuning is not an easy issue, so you need to know how Oracle works and from where to start tuning.